(I don’t know why WordPress has turned on the bold type here…sorry for the visual annoyance.) May 1-7 is Native Plant Appreciation Week. That doesn’t seem nearly long enough. Why not appreciate them all year long? Around here, native plants provide the living structure of the landscape, whether it’s forest or grassland. Against this backdrop, leaves and flowers change almost daily. 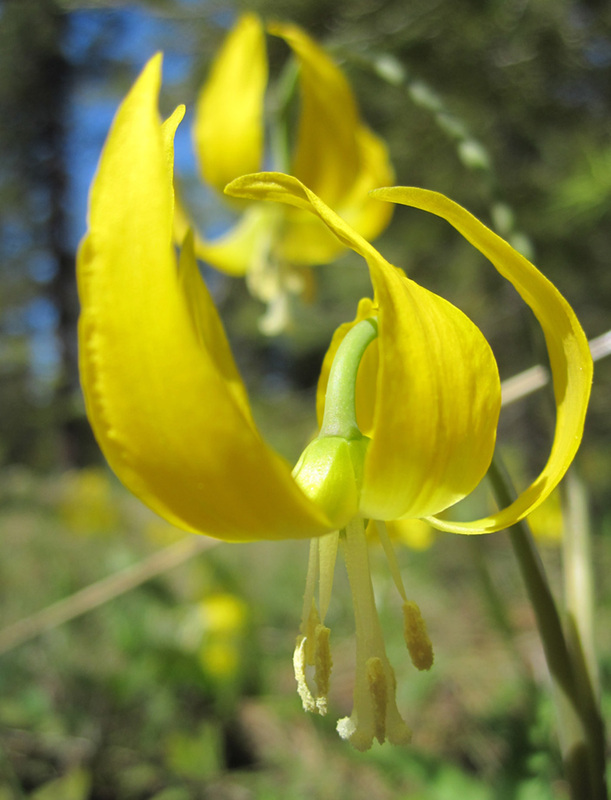 Yellow glacier lilies are the signature flower of spring. They first appear under the lowland ponderosa pines in April and May, but I will see them well into July as spring follows the melting snow up the mountainsides. Why not consider native plants for the garden as well? My own collection continues to expand as I find the right plant for that sun-blasted spot in rocky soil, or the one that thrives in the damp shade along the north side of the house. Seeing trailing raspberry and maidenhair ferns at home reminds me of all the wild places they grow. By cultivating natives, I’m providing habitat and food for native insects and birds. Some nurseries specialize in local native plants, and there are ethical ways of propagating your own starts. Native means to be born or grown in a particular place or region. Find what’s indigenous to your place, and celebrate it!